We will provide engineering design services for those items identified in your estimate. As part of preparing the estimate, we will make every attempt to identify the services you will need and review those services with you. Note that it is often difficult to foresee every item that will need to be addressed for the design. Because of this, it is possible that there will be changes or additions to the estimate as the project progresses. Our goal is to minimize these changes as much as possible. 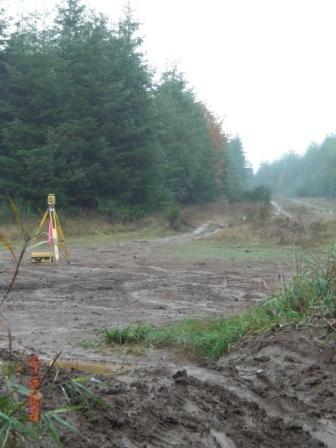 We offer a variety of engineering services and surveying services to help you complete your project. No design can address all of the details that can come up in a project. Although we will make every attempt to be as thorough as possible and address expected problems as quickly and efficiently as possible, we cannot guarantee that the design is complete and without errors. Designing a project is a complex process of determining the required elements and determining how they will fit together. Through the process, we, or others involved with the project, may find conflicting elements or more cost effective, safer or more reliable alternatives. We will make every attempt to work with you to evaluate and incorporate these issues as they come up. You should allow for some contingency in any cost estimates you may be working with to allow for these issues. We can review an appropriate contingency with you as the project progresses. As part of keeping these issues to a minimum, we may work with you to have a contractor evaluate your plans prior to receiving an actual estimate for the project. Many contractors have the practical experience that can help your project be a success. As part of developing a plan that works best for you, we will often need input from you at the beginning and during the process. This can include, but is not limited to, utilities you will require, the size of those utilities, title reports, design surveys, geotechnical reports and/or building designs. We will be able to provide you with a better design if you are available for this input as needed. 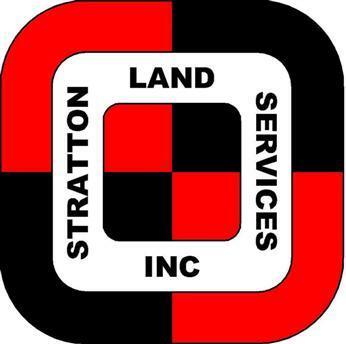 Boundaries, easements and rights-of-way on, or adjoining, the project. Monuments found or set at all property corners. Elevations on appropriate datum with a temporary bench mark (TBM) onsite. Contours and spot elevations at an appropriate interval for the project including an indication of the topography beyond the project if it varies. All utilities within or adjoining the project area and fire hydrants, street lights and sewer lines within 300 feet of the project. Streets and driveways opposing the project. Every project is different and we will work with the project surveyor to determine the exact requirements for the project. Your project may need a variety of professionals to make it successful. These may include architects, structural engineers, electrical engineers, geotechnical engineers, other civil engineers, wetland biologists, attorneys, landscape designers and surveyors. In addition, there are a number of government agencies, utility providers and contractors that may be involved in the project. It is important to identify the people who will be involved with the project as early in the process as possible and have good coordination between them. This may involve one or more meetings between those people. One or a few people should oversee significant portions of the project to insure that they get completed successfully. Get unit prices for change orders in addition to the bid price. Short list some contractors early in the project. Remember that price isn't everything. You may wish to look into the reputation of the contractor and review their bonding and license. Consider what sort of contract you may want with the contactor. They may have one but it may be set up to protect only them. You may wish to have an attorney help you with this. Know what sort of time frame you can work with before you start to negotiate with the contractors. Will you have one contractor who subs out work they can't perform or will you contract with each contractor separately. Who will coordinate this? How much control will you have over the subs? How and when will payments be made? Who will review the progress of the project? Will there be some sort of retainer on payments or balloon payments when certain items are completed and approved? If there is more than one company involved in the construction of the project, you should have a pre-construction conference. This is sometimes required by the controlling agency. A representative of all of the companies involved should attend including the designers, contractors, agencies and utility providers. This is where the final coordination prior to construction happens, details are addressed and scheduling is reviewed. This is an important part of a successful project. During construction, you should consider how much review of the work you want and who will do it. Do you want an inspector on site? How often? Change orders (CO) and requests for additional information (RFI) are a common part of a construction project. These may come up to address unforeseen circumstances, clarify the design or make improvements on the design. You should be prepared to answer these as they come up in a timely fashion. Always find out if there is a change in costs associated with the CO or RFI. Be aware that some contractors will bid a project low and expect to make up the difference with COs and RFIs. We can help you review these if you wish. You should designate a point at the end of the project where you review the project with the principal persons involved to insure it is complete and satisfactory. This may involve using a punch list to verify the completeness. This list is not inclusive. Each project has its own unique characteristics that may require items not shown here. We can help you find the professional that can best assist you with those services we do not provide and work with those professionals to achieve a seemless project. If you have any questions regarding this information, please feel free to contact us.